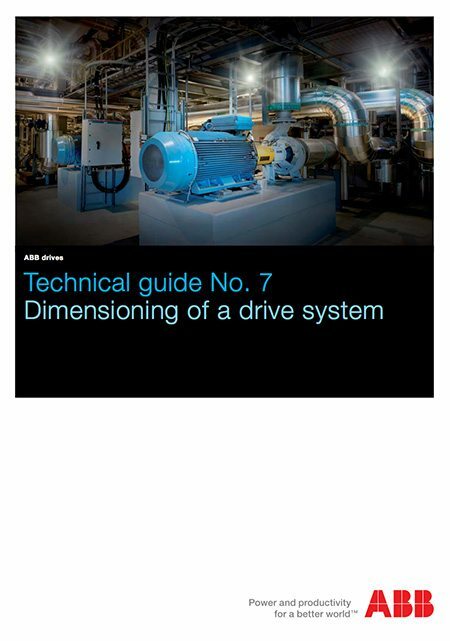 Dimensioning of a drive system is a task where all factors have to be considered carefully. Dimensioning requires knowledge of the whole system including electric supply, driven machine, environmental conditions, motors and drives etc. Inside the single frequency converter there is a rectifier, DC-link and inverter unit. In multi-drive systems a separate rectifier unit is commonly used. Inverter units are connected directly to a common DClink. This chapter gives the general steps for dimensioning the motor and the frequency converter. In order to select the correct frequency converter and motor, check the mains supply voltage level (380 V …690 V) and frequency (50 Hz … 60 Hz). The mains supply network’s frequency doesn’t limit the speed range of the application. Is there a need for starting torque? What is the speed range used? What type of load will there be? Some of the typical load types are described later. 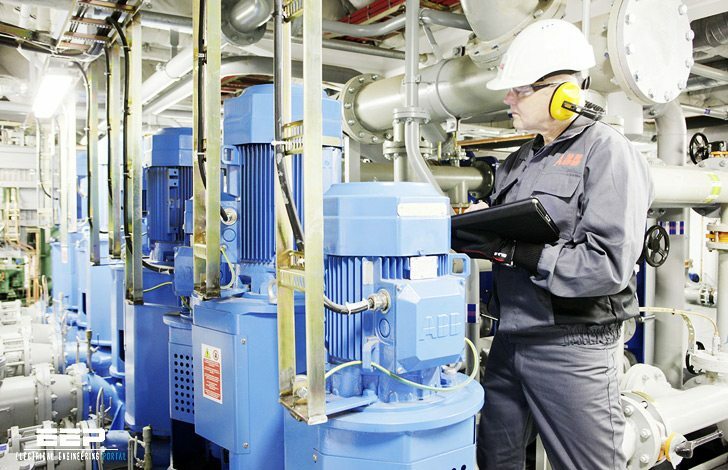 An electrical motor should be seen as a source of torque. The motor must withstand process overloads and be able to produce a specified amount of torque. The motor’s thermal overloadability should not be exceeded. It is also necessary to leave a margin of around 30% for the motor’s maximum torque when considering the maximum available torque in the dimensioning phase. 4. Select the frequency converter. The frequency converter is selected according to the initial conditions and the selected motor. The frequency converter’s capability of producing the required current and power should be checked. Advantage should be taken of the frequency converter’s potential overloadability in case of a short term cyclical load. Induction motors are widely used in industry. In this chapter some of the basic features are described. An induction motor converts electrical energy into mechanical energy. Converting the energy is based on electromagnetic induction. Because of the induction phenomenon the induction motor has a slip. The slip is often defined at the motor’s nominal point (frequency ( fn ), speed ( nn ), torque ( Tn ), voltage ( Un ), current ( In ) and power ( Pn )).